Welcome to London, United Kingdom ! 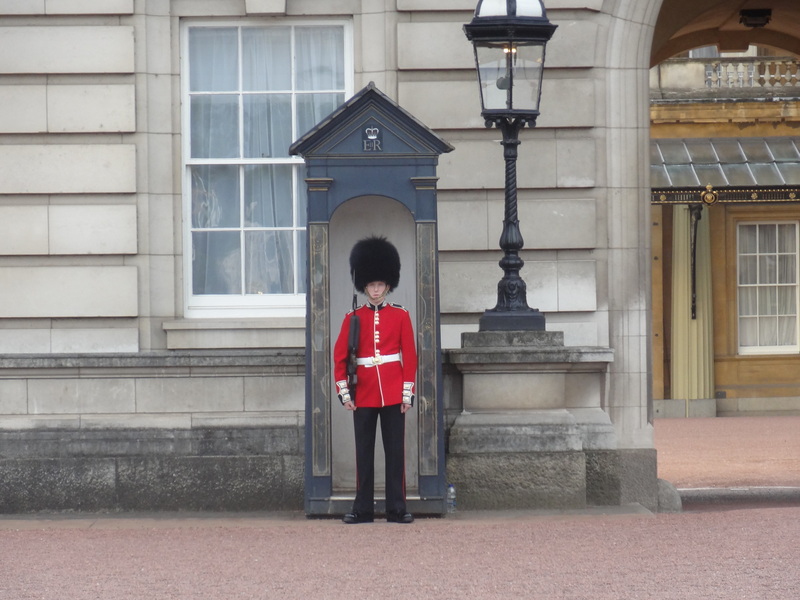 If I’ve decided to take you to London first and foremost, it’s because it’s my favorite place I’ve been to, so far. I’ve been lucky enough to go there maybe three or four times, and each time, it gets more and more amazing. From touristic, cliché stuff to do, to shopping and wonderful discoveries, there’s everything in this city to make me happy. Plus, the English accent…What more can I ask for?! Today, I’m taking you with me on a little tour of the city and its treasures…in pictures! 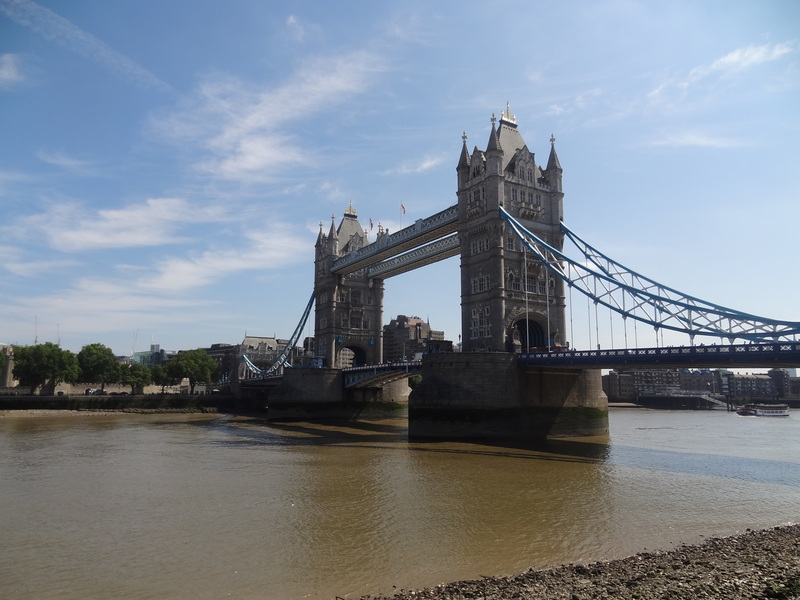 The famous Tower Bridge, casually standing there like it owns the Thames. Well, it kind of does. I mean, just look at him. St. Paul’s Cathedral & The Millenium Bridge. 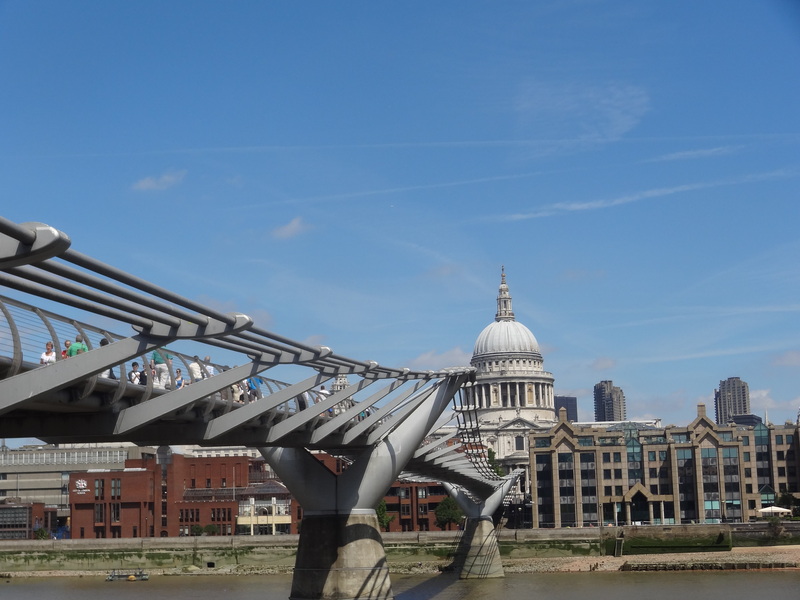 St. Paul’s, because it’s gorgeous and gigantic, and the bridge, because…anyone heard of Death-eaters? Yes. It was there, well, almost. Unmistakable Big Ben in all its gorgeousness, with the London Eye in the background. I could never get sick of this view. 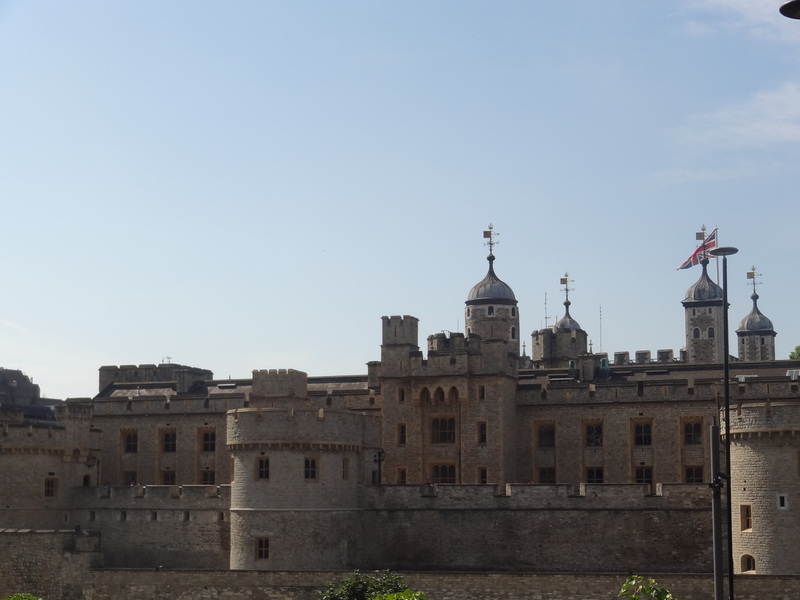 The Tower of London, hiding the jewels of the Crown and some other creepy torturous historical things. It looks mysterious, right? 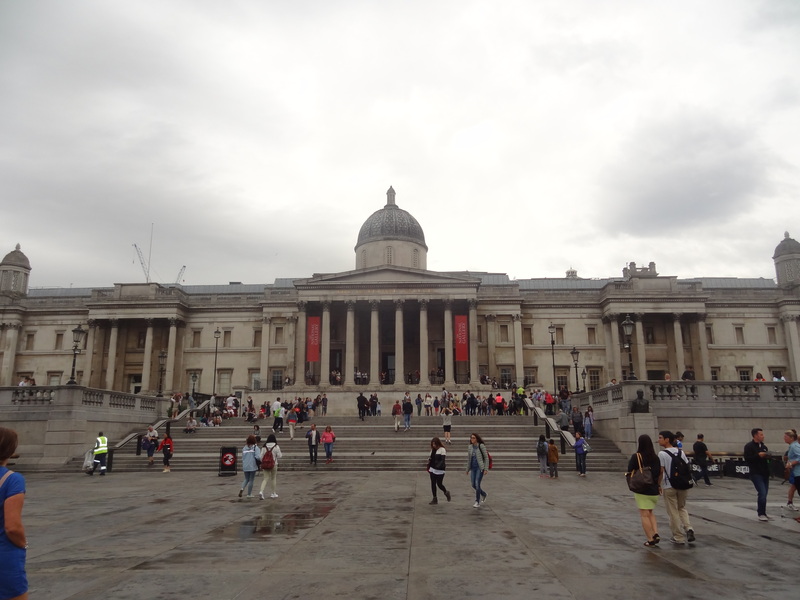 Trafalgar Square and the National Gallery. It’s free, and it’s full of art. And it’s so pretty. Little streets you wouldn’t imagine, with the cutest shops. 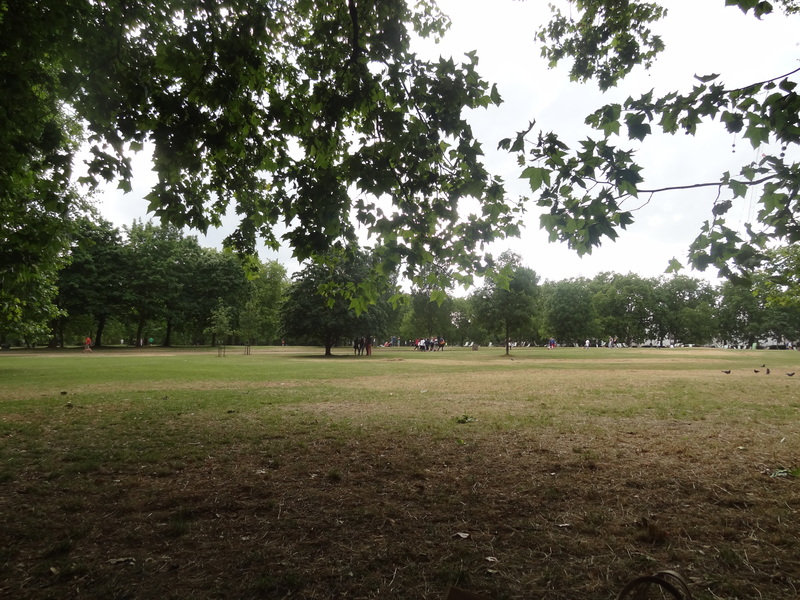 Parks, LOADS of them, and it’s so GREEN and huge, perfect to catch a break for an afternoon, away from the noise. THIS IS MY FAVORITE PLACE. 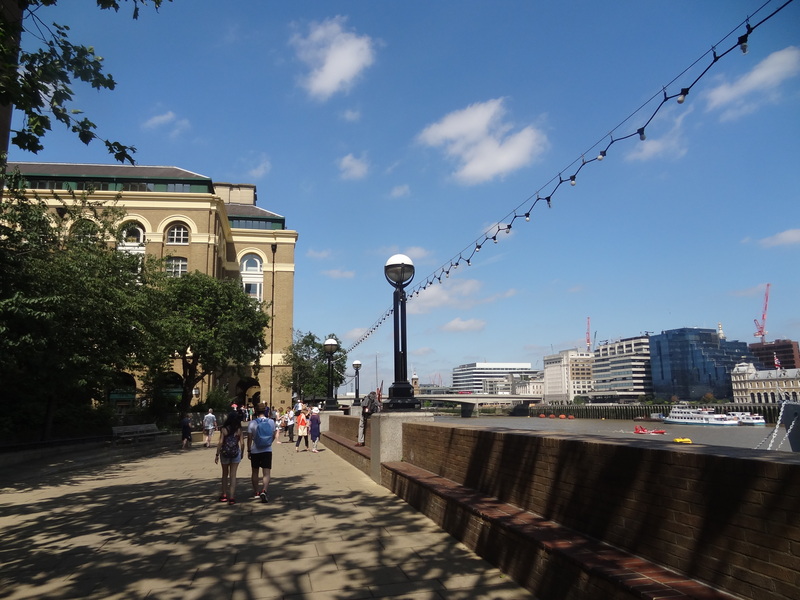 The walk from the Tower Bridge to St Paul’s Cathedral, along the Thames. Peaceful in the heart of the city, a great, 15 min walk to feel like a Londoner. 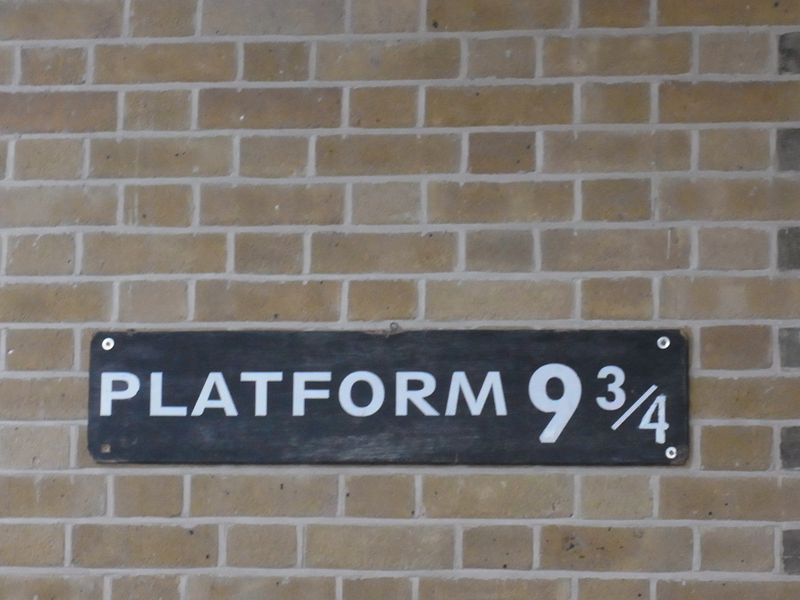 Harry Potter, anyone?! Well…it’s there. King’s Cross station. And you can get your picture taken going off to Hogwarts. Tried crossing the wall. Didn’t make it. 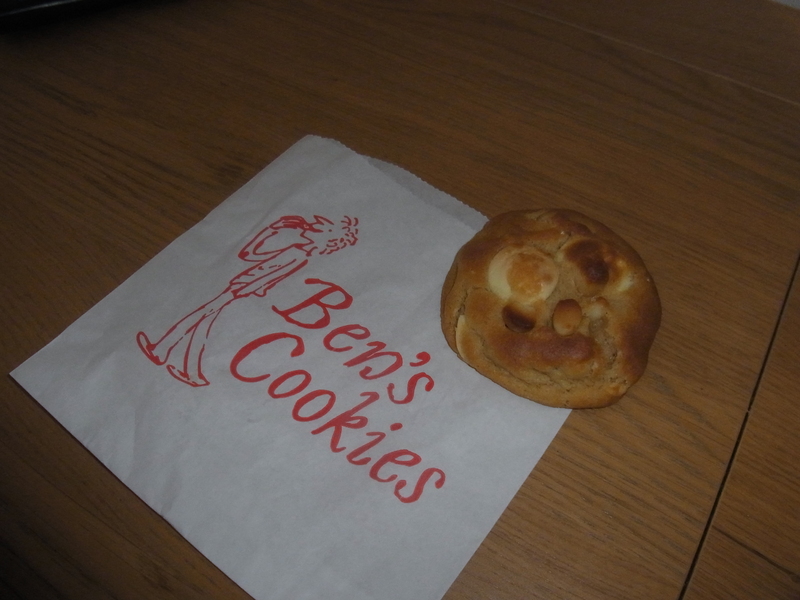 Ben’s cookies, with HUGE chunks. I love those. 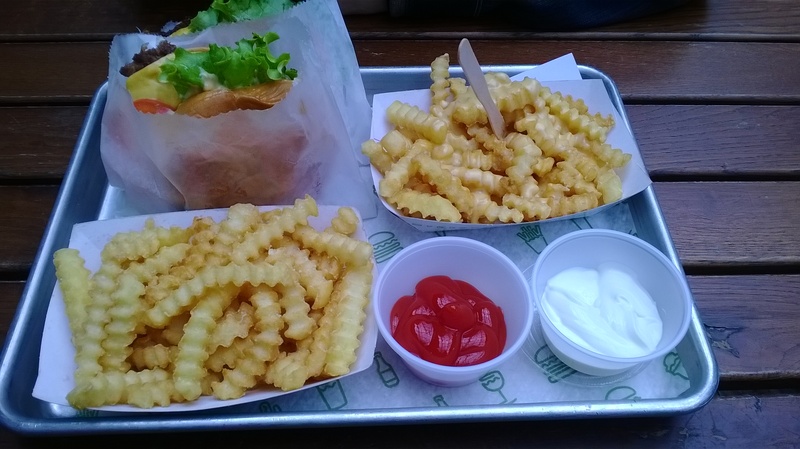 Shake Shack. I don’t have that in France (WHY!!!) but I love it. I mean, just looking at this makes me hungry. London in all its gorgeousness. 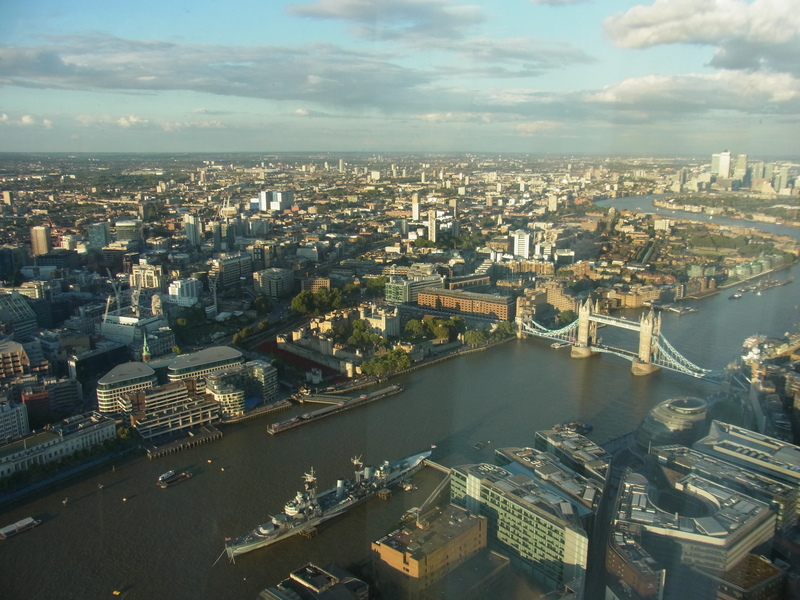 The view from the Shard, at almost sunset. So…I’m sweating nervously, so don’t make me wait any longer, and tell me…what did you think about this first travelling post?! I hope I made you want to go there…because I certainly need to go back after writing that. 🙈 Advice, suggestions, cities you want to go to next? Let me know! It was a great post, Marie! No need to be nervous at all! The pictures were amazing, but I would love to hear even more of your thoughts inbetween 😉 still, it was great! I’ve been to London only once and it wasn’t the most fun experience, because it was with school and no one bothered to organise the trip the right way. But I do wish to go back there and your post made me want to even more! I love your new travel post! I lived in London for a couple years so it’s nice to see it from someone else’s point of view. I definitely recommend going to Forbidden Planet, which is nerd heaven! They have an entire floors of comic books, graphic novels, and science fiction and fantasy books. The other floor is all memorabilia from TV shows, books, and movies. It’s so pretty!!! Haven’t been to London for 8…9…? years now?? It was such a rush! We went to a couple football games (my dad grew up in England and is obsessed with Newcastle). Such a great atmosphere. 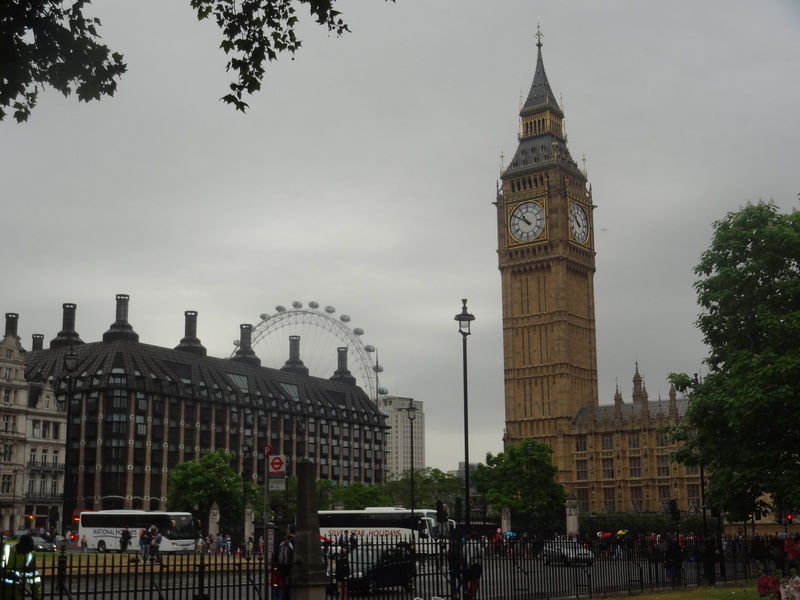 I did an exchange semester in the UK and went to London about 3-4 times and absolutely loved it, although I found it reaaaally busy on the weekends. 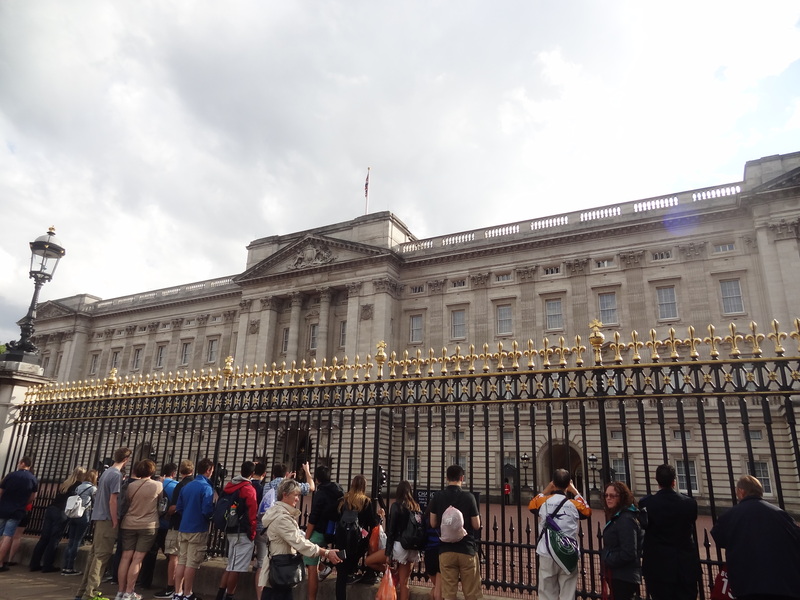 I also did the whole waiting-for-the-queen thing although she never appeared (not that I really expected her to, haha). Hey! I’m great! I’ve always wanted to go to London. My dad went, without me, alas, and brought me back a couple of shirts that I outgrew but loved. Anyway, I’d love to study abroad there, or live there for a year, or just visit when I get my first vacation from my dream job, which is to be a publicist or cover designer in publishing, and I know I’ll definitely take vacations and travel as much as possible when I have a job. LONDON is LOVE. I think the best piece advice for traveling London is to always wear comfortable shoes because there is lots of walking to be done. I love the parks as well, so green and so huge. We went during the fall and visited Hyde Park’s Winter Wonderland, it was lovely 😀 it’s impossible to visit all the places in one day. I haven’t been to the Tower of London yet, argh. Lovely post Marie! This makes my traveler’s soul very happy 🙂 I would love to see France, actually. Like the hidden gems of France! 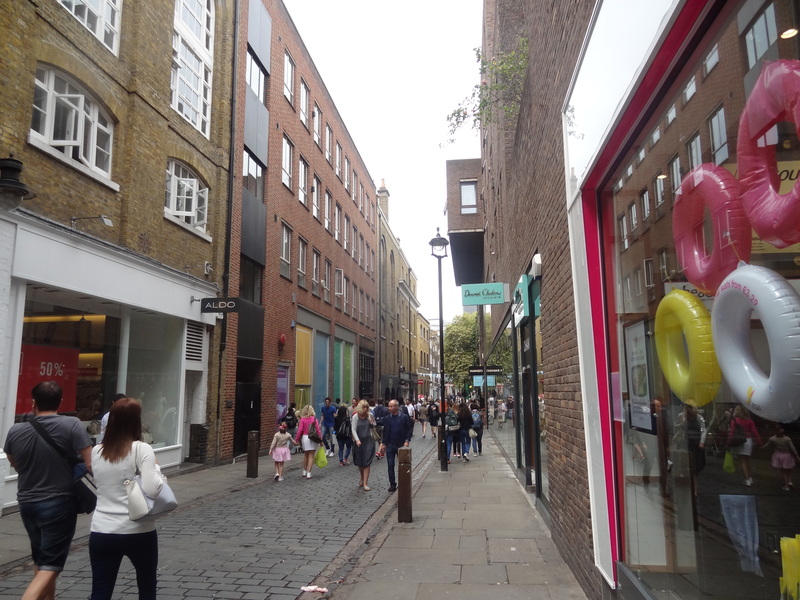 Ohh, I love Covent Garden, too, it’s so pretty and I love the atmosphere. I live in England and I’ve only been to London properly a couple of times. I found it off putting for quite a long time because my only experience of it was the tube. On my way home from university I would have to cross London from Liverpool Street to Paddington Station and tube-only is not the way to experience the city. In fact it creates in a person the belief that everyone there is kind of mean and terrible. I think it might be time to get over that. More and more of my friends are moving there so I am running out of excuses not to visit. I’m sure I will. Like I say, a lot of friends are moving there so I’ll have to go at some point, haha. This is awesome! I love this post- although admittedly I don’t feel especially touristy- I’ve been to quite a few of these places in the past week just by accident (I was by Tower Bridge just today) I have loads of random art galleries (eg Whitechapel and Photographers) that are a bit more off the beaten track. And there’s some other more random stuff I can recommend- for instance, ever been to Highgate cemetery? A lot of famous people are buried there- but that’s not why it’s awesome- it’s awesome cos it’s old and victorian and really spooky. There’s also some national trust properties worth having a look at. And like you said, some green areas you may not have found (Kenwood’s my fave for both of the above). Okay… I’m gonna stop before I get carried away- it’s just an easy topic for me. Ahh yes I love love love these pictures! I don’t care what they say about London being gray and dull. I still want to go there and see every picturesque places! Thank you for these photos, Marie! Also, I’m sure many others would love to see more of your gastronomic adventures while you travel. Ugh that Shake Shack meal is to die for!! I think I just found my first love….